You can scale this map and change the colours according to your needs, and use it royalty-free for commercial projects. 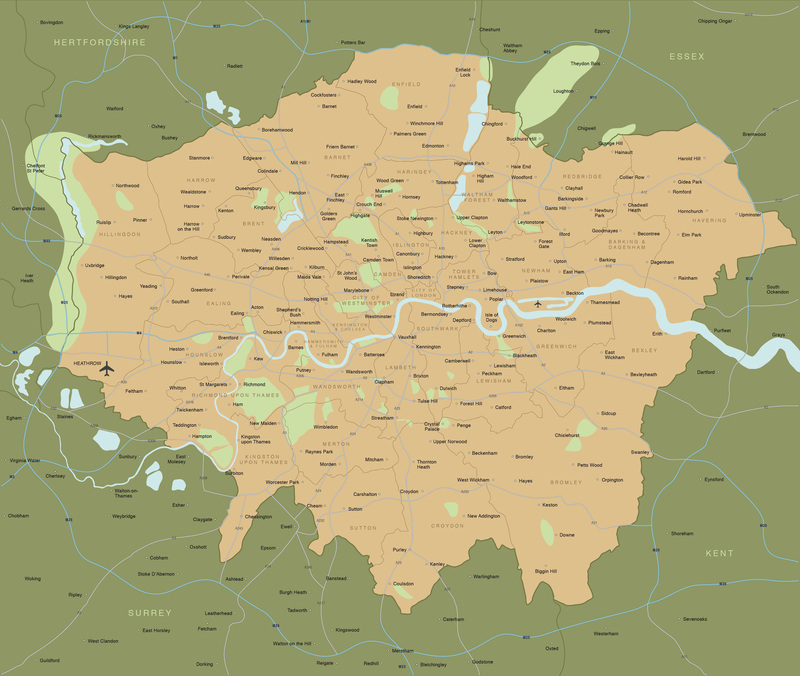 Features of the Greater London map include interlocking layers for all the London boroughs, the Home Counties and Greater London boundary. 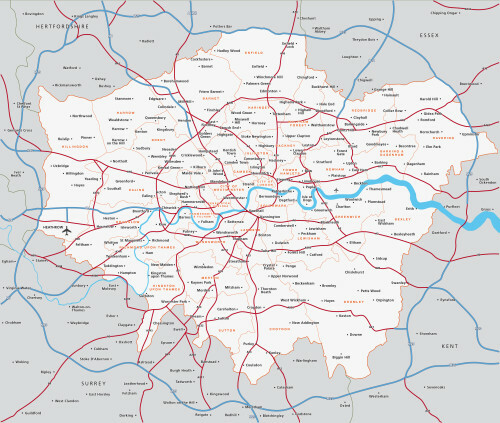 The M25 and arterial routes are plotted, as is the path of the River Thames, Heathrow Airport and London City Airport and the major reservoirs and parks within Greater London. Included in the download folder are two editable files in Illustrator and SVG formats, along with a small selection of full size PDFs and JPEGs showing examples of different styling, colours and fonts. There is no limit to what you can do to this map using vector software – add your own location markers, hide unwanted features, and change the shape and colour of any element. In terms of scaling, we recommend anything from about A4 up to poster size if you need all the place names to be legible. If you want to use the map smaller than A4, you can easily enlarge the text for legibility and remove unnecessary labels to stop place names overlapping. 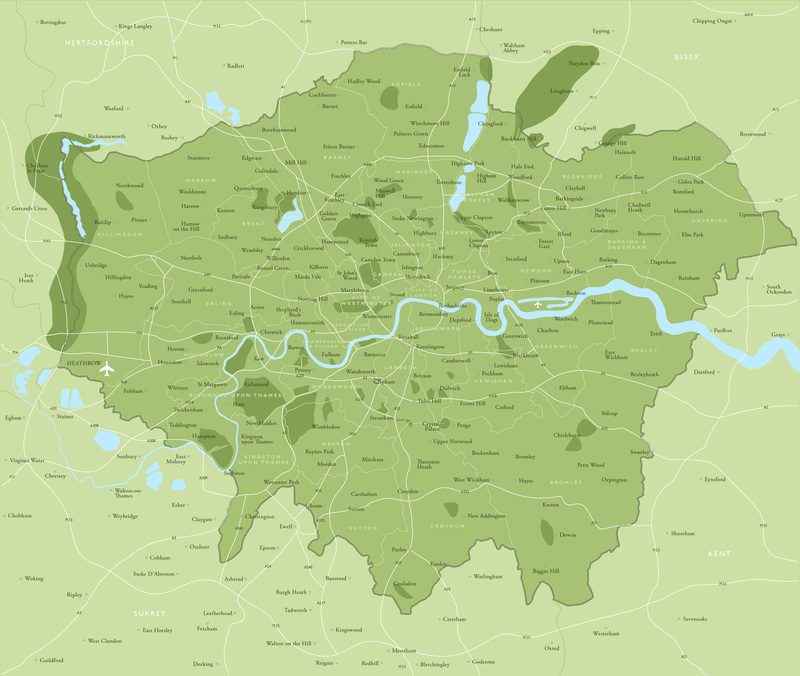 This map of Greater London can also be used as a small city locator map simply by turning off the top layers. Want more detail? 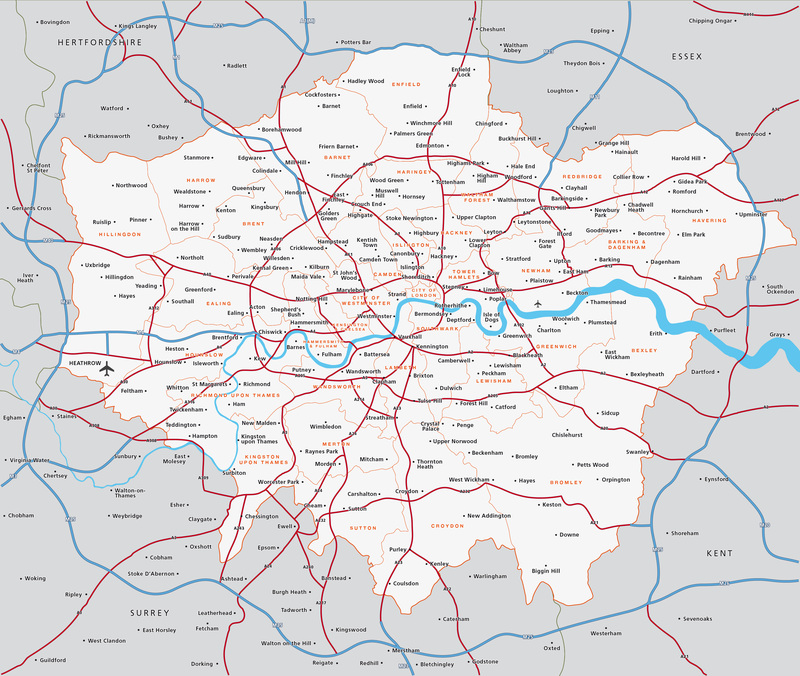 Check our Greater London detailed map with all roads. 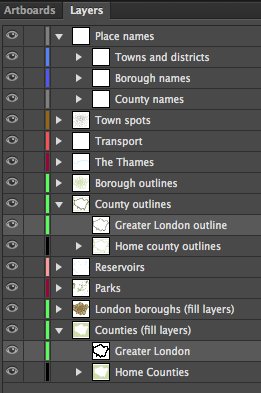 Want the London postcodes overlaid on this map base? 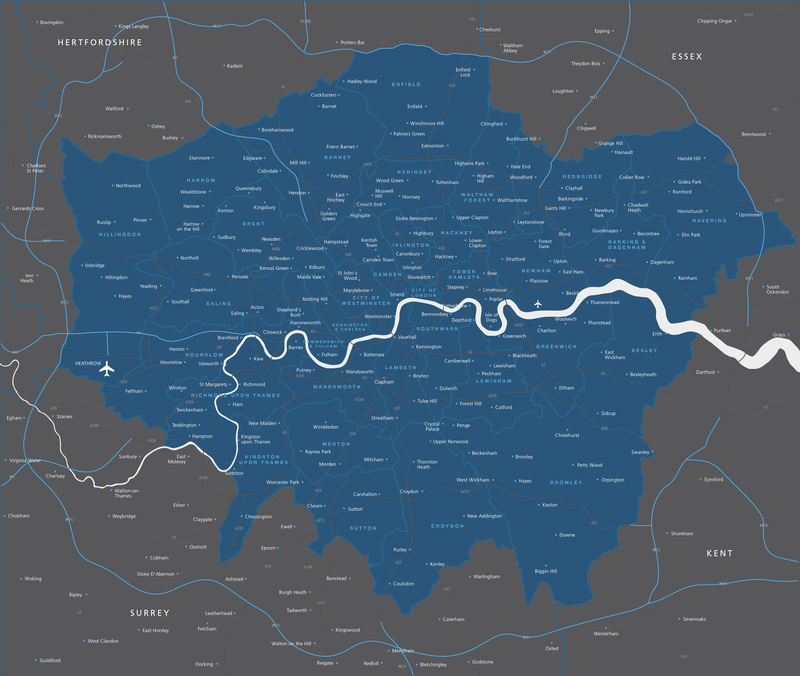 See our map of Greater London postcode districts.